Are you a North Central Florida guru? Be heard and share your experiences by becoming an 352area.com Contributor. Learn More! Are you a local in the North Central Florida area? Join your community and Get Connected with others in your area. Join FREE! Cinco de Mayo celebrates of the victory the Mexican army had over the French at the battle of Puebla in 1862. It's also a great excuse to enjoy margaritas and tacos, too! Today, Cinco de Mayo is more of fiesta to celebrate Mexican culture, so get your game one for tequila and guac because Gainesville has a few places to fiesta this Cinco de Mayo. Felipe's Taqueria offering a festive lineup of events on Cinco de Mayo. There will be live music from Elio’s Latino Sound Machine featuring Grammy-award winning Renesito Avich on Tres Guitar, so you can to salsa all night long! There will be multiple opportunities to bring home prizes from 100.5 The Buzz who will be on site hosting multiple contests. They will have a special taco bar and other festive cervezas as well as key lime margaritas and other cocktails, too. From noon to 6 p.m., Top Tier will be hosting a Cinco celebration, and there will be live music from Elio’s Latino Sound Machine from 6 p.m. to 1 p.m.
Boca Fiesta will be hosting a fiesta for Cinco De Mayo, and the dance party will be held in their Backyard starting at 9 p.m. featuring Viking Prince and Malibu Darby. Of course, you can start your Cinco De Mayo earlier with brunch at Boca Fiesta with plenty of great Mexican food and drinks! Swamp Head Brewery will be hosting the Cilantro Tacos food truck on the lawn for Cinco de Mayo. Cilantro Tacos is known for having some of the best tacos in the area. If you enjoy a cold brew with your Mexican food, then this is the fiesta for you! There will be 28 beers on tap and plenty of tacos! The Cinco de Mayo celebration will begin at 1 p.m. on the lawn. If you want to get out of the city, El Taco Regio in Trenton, an hour east of Gainesville, is celebrating Cinco de Mayo. The local Mexican food spot will be hosting a Cinco de Mayo celebration for the first time, and they have plenty of entertainment with music and giveaways as well for a fun evening 5 p.m. to 9 p.m.
Cinco de Mayo falls on a Saturday this year, so it’s the perfect time to take full advantage of Cinco De Mayo festivities! 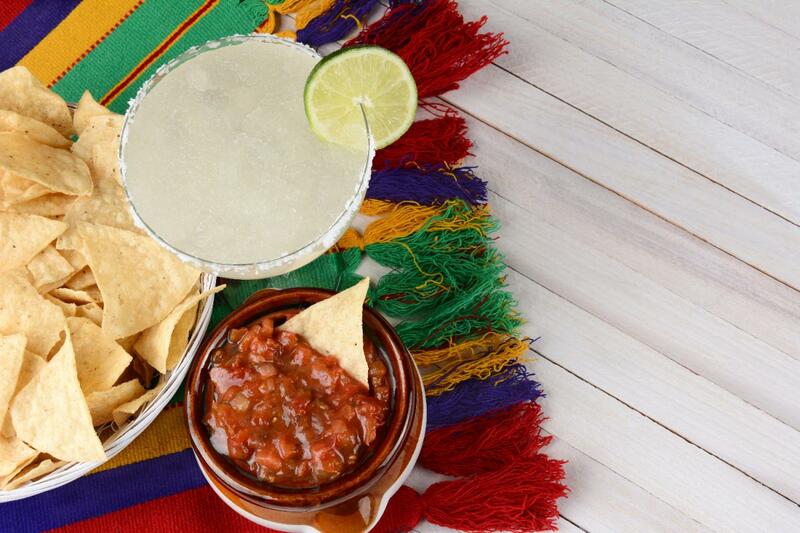 What’s not to love about a holiday that includes margaritas and tacos? Find more Cinco de Mayo events in North Central Florida by registering on 352area, your free guide to everything in this part of the state.